“Outer-Space Cartoon Says Americans Are the Bad Guys: “Millions for defense, not a sixpence for tribute,” Charles Cotesworth Pinckney, once a delegate to the Constitutional Convention, said in 1796. “Millions for special effects, not a Starbucks gift card for writing,” might be the motto of modern Hollywood, at least if “Avatar” is the exemplar. “Avatar” should have been marketed as a cartoon and best animated feature of 2009. The special effects were great — though yours truly increasingly finds computer-drawn special effects boring, since they are so obviously fake. The script was as dull and predictable as the special effects were flashy. Maybe the dialogue sounded better in Na’vi. The mineral is an anti-gravity substance that floats. Midway through the movie, we learn there are entire mountains of it floating above Pandora. So why not mine the floating mountains, where no Pandorans live, rather than go to war with the natives? The clichéd super-heartless corporation that wants the mineral is depicted as obsessed by profit. War is a lot more expensive than mining! If profit is what motivates the corporation, war is the last thing it would want. Because hardly anything in the movie is explained, we never find out what nation or organization has built a huge base on Pandora, then brought along an armada of combat aircraft. The Earth characters all look, act and talk like Americans — in fact, slang hasn’t changed in 150 years! But does this project have some kind of government approval, or is it an interplanetary criminal enterprise? It’s hard to believe that 150 years from now, humanity’s first interaction with another sentient species would be conducted without any public officials present, but that’s what is depicted. And who are the gun-toting fatigue-clad personnel commanded by the ultra-evil Colonel Quaritch — are they regular military, mercenaries, private security contractors? Audiences never find out. They’re just a bunch of trigger-happy killers who want to slaughter intelligent beings, and all of them but one do exactly what Colonel Quaritch says, even once it’s clear Quaritch is insane. The colonel must work for somebody — for the Pentagon, some government agency, for the corporation. So why isn’t he subject to supervision? No organization would entrust a project costing trillions of dollars — a town-sized facility has been built five light-years away — to a single individual with unchecked power. You’d worry that the single individual would commit some huge blunder that wiped out your trillion-dollar investment, which ends up being exactly what happens. I found the colonel with absolute authority a lot more unrealistic than the floating mountains. Then there’s director James Cameron’s view of military personnel. 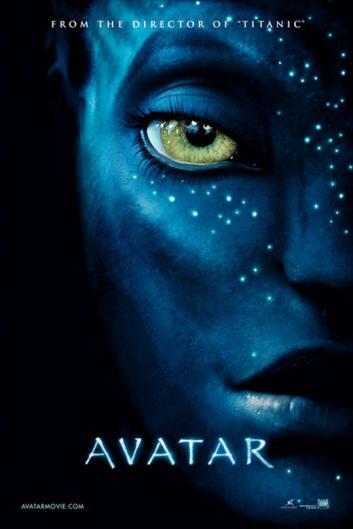 If I were a military man or woman, I would find “Avatar” insulting. With one exception, the helicopter pilot played by Michelle Rodriguez — her character is twice referred to as a Marine, suggesting the military personnel are regular military, not mercenaries — all the people in fatigues are brainless sadists. They want to kill, kill, kill the innocent. They can’t wait to begin the next atrocity. It’s true that the U.S. military has conducted atrocities, in Vietnam and during the Plains Indians wars. But slaughter of the innocent is rare in U.S. military annals. In “Avatar,” it’s the norm. The bloodthirsty military personnel readily comply with the colonel’s orders to gun down natives. No one questions him — though in martial law, a soldier not only may but must refuse an illegal order. Plus the military personnel are depicted as such utter morons — not a brain in any of their heads — that none notice the TOTALLY OBVIOUS detail that Pandora’s unusual biology will be worth more than its minerals. Yes, movies traffic in absurd super-simplifications. But we’re supposed to accept that of the deployment of several hundred, every soldier save one is a low-IQ cold-blooded murderer. Well said, Mr. Easterbrook. Well said.